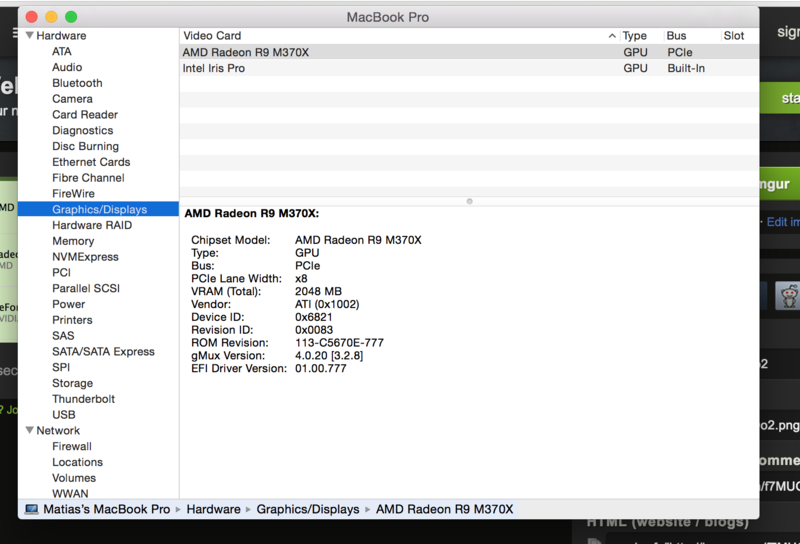 netkas.org » What’s inside new rMBP ? х8 of very fast PCI-E 3.0 bus is too enough for not a fast GPU. It’s enough even for fastest desktop boards, then they work on Haswell boards in SLI, where is only x8 lines availably for each GPU. OpenCL ? Nvidia OpenCl support is not so good. Now let’s make HD7770 EFI rom ! x4 PCIe 3.0 is required for the PCIe SSD (OEM variant of Samsung SM951). As the CPU only provides 16 lanes (and x12 doesn’t work) Apple had no choice but to only use x8 for the GPU. But this way the SSD can reach over 2GB/s (read). Yes please ! I’d play for a hd7770 efi rom !